Santa Ana volcano in western El Salvador, Central America, had a phreatic eruption at 8:05 am (local time) on October 1, 2005, 101 years after its last eruption. However, during the last one hundred years this volcano has presented periods of quiet degassing with fumarolic activity and an acidic lake within its crater. This paper presents results of frequent measurements of SO2 degassing using the MiniDOAS (Differential Optical Absorption Spectroscopy) system and a comparison with the volcanic seismicity prior to the eruption, during, and after the eruption. Vehicle measurements of SO2 flux were taken every hour during the first nine days of the eruption and daily after that. The period of time reported here is from August to December, 2005. Three periods of degassing are distinguished: pre-eruptive, eruptive, and post-eruptive periods. The intense activity at Santa Ana volcano started in July 2005. During the pre-eruptive period up to 4306 and 5154 ton/day of SO2 flux were recorded on October 24 and September 9, 2005, respectively. These values were of the same order of magnitude as the recorded values just after the October 1st eruption (2925 ton/day at 10:01 am). Hourly measurements of SO2 flux taken during the first nine days after the main eruptive event indicate that explosions are preceded by an increase in SO2 flux and that this parameter reaches a peak after the explosion took place. This behavior suggests that increasing accumulation of exsolved magmatic gases occurs within the magmatic chamber before the explosions, increasing the pressure until the point of explosion. 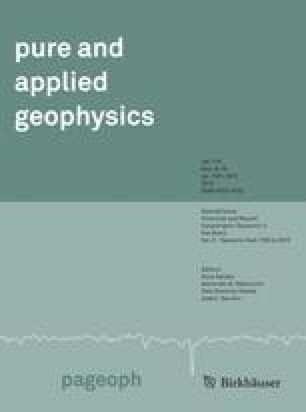 A correlation between SO2 fluxes and RSAM (Real Time Seismic Amplitude Measurements) is observed during the complete sampling period. Periodic fluctuations in the SO2 and RSAM values during the entire study period are observed. One possible mechanism explaining these fluctuations it that convective circulation within the magmatic chamber can bring fresh magma periodically to shallow levels, allowing increasing degasification and then decreasing degasification as the batch of magma lowers its gas content, becomes denser, and sinks to give space to a new magma pulse. These results illustrate that the measurements of SO2 flux can provide important warning signals for incoming explosive activity in active volcanoes.